Everyone has got some simple plain hair ties laying around at home. If it is not for yourself, it might be for your daughter(s). 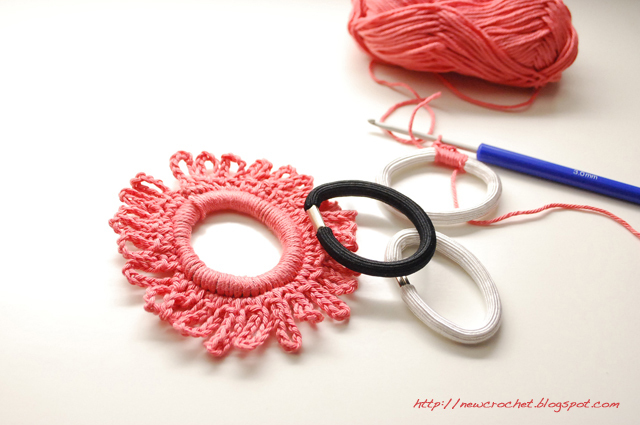 With a crochet hook and some yarn (cotton or acrylic, as you wish) you can quickly make your hair tie look more fancy and even match it with your outfit. Have a look here at this easy pattern, after the jump. Ready in less than 15mins!!! Round 1: Create sl st all around your hair tie so that the color of your hair tie is no longer visible, end the round with 1 sl st in 1st ch. Round 2: ch1, 1sc in same loop, ch10, 1sc in next ch, *1sc in next ch, ch10, 1sc in next sc*, *-* repeat all around and end with a sl st in 1st sc. How do you get the sl sts so perfect? What weight of yarn did you use? 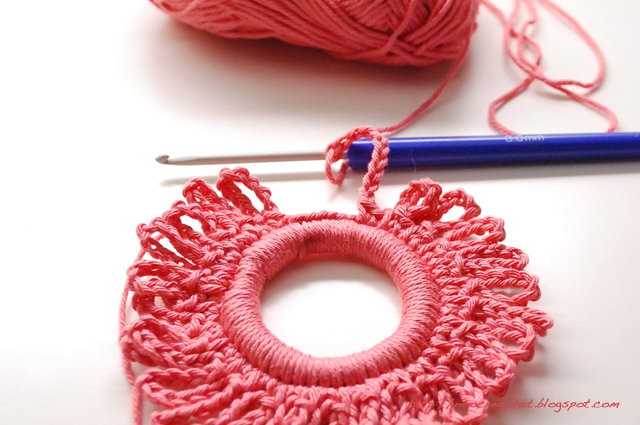 Hi there, I have used 'light' cotton nr 2. but you could use acrylic yarn as well. Thanks for stopping by. Really cute Alexandra - my nieces will love these and I might even make one for myself too. Thank you for another great crochet project. 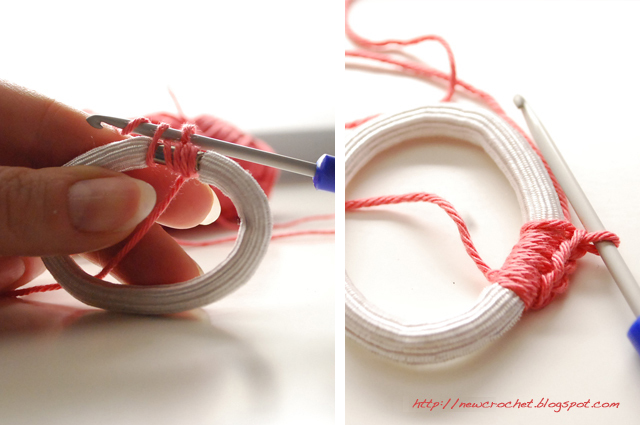 Perfect for left over yarn and Operation Christmas Child boxes! 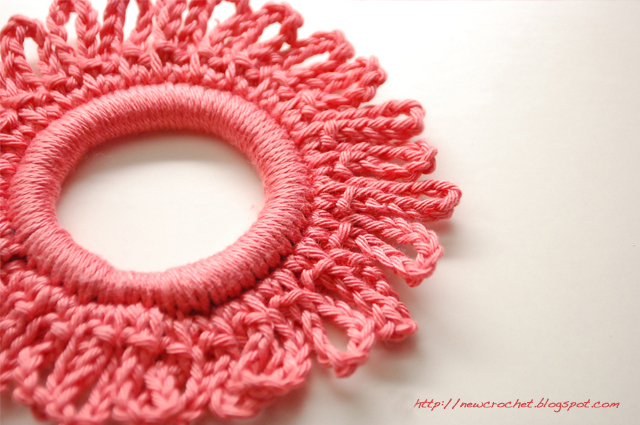 Arts Color crochet Design DIY Etsy Fashion General Holiday decoration Home decoration jewelry pattern Scarves tips Trends Weekly Inspiration What's new?? ?